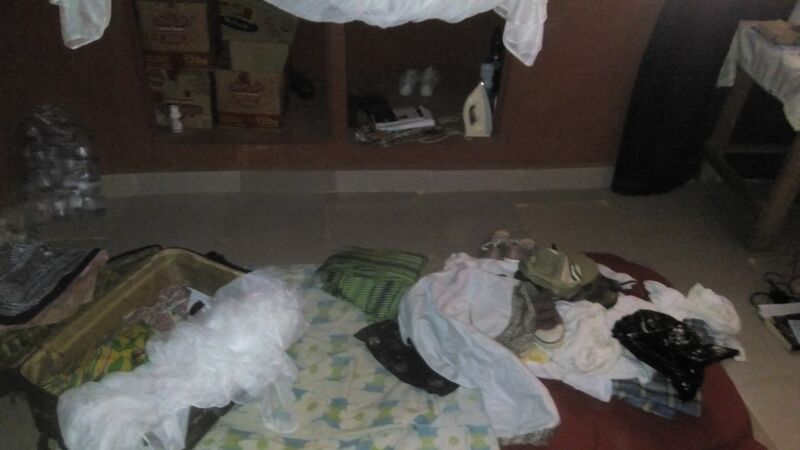 A corpers lodge was invaded by some criminals yesterday Thursday Feb 9th, when the occupants of the lodge whom are members of the National Youth Service Corp (NYSC) went for their community development service (CDS) in Ekureku Abi local government area of cross rivers state. 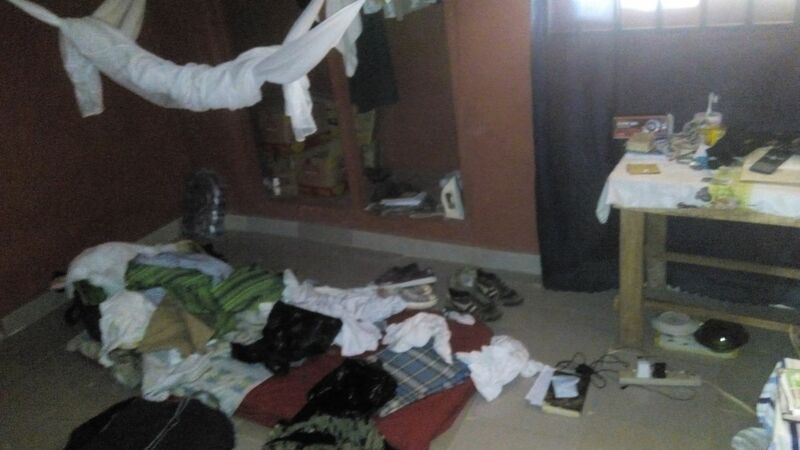 the Corp members returned, only to see their rooms turned upside and ransacked by the hoodlums who took their time to carefully search the rooms, with the knowledge that the corpers won't be returning soon. According to an occupant of the lodge, the robbers came in when occupants of the building have gone for their cds ,and broke into the rooms, carting away any valuables they could lay their hands on, including phones, money,laptops and even clothings. One occupant of the building who was worst hit by the burglary, is a male corper, who decried how they took his laptop, 20k in cash, jeans, shirts, speakers and other personal belongings. They also went with his original school certificate which was in the bag the burglars carted away their loot in. This is actually not the best of times for the corpers, hopefully, the appropriate authorities will take action and the perpetrators of such crimes would be brought to justice. The matter has since been reported to the police and the community leaders.